Behind closed doors, Doubting Thomas saw the evidence and was able to remove all doubt. His testimony still stands in front of us today. I bet if people really looked at all the evidence, truly investigated who Jesus was, and added a little faith, they’d do the same thing. Jesus said those of us who did not see him but still believed would be blessed. He said that to me, to you, and to everyone who was not in the room to literally touch his hands and side. As for Doubting Thomas, Jesus told him, “Because you have seen me, you have believed.” Maybe he should be known as “Believing Thomas”. After all, that’s really who he was. Or hold themselves from faith aloof unless they have abundant proof. The places where the nails had been– and saw the Lord alive again! 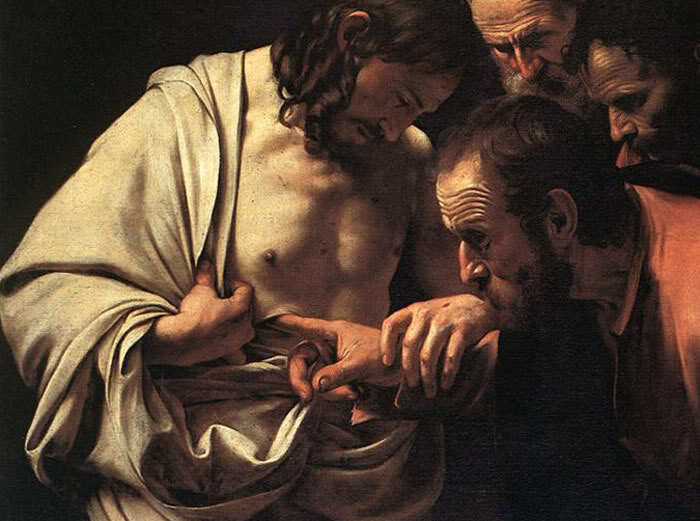 “Doubting Thomas” then received the Risen Lord, and he believed! That name’s more accurate because at the end of the day, that’s who he was.